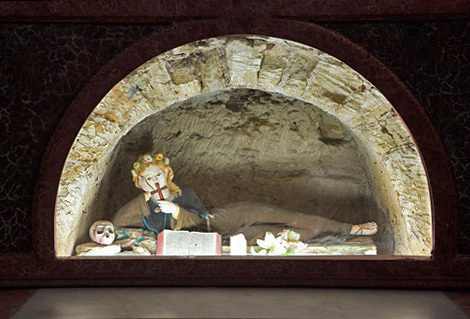 Morbid Anatomy: Saint Rosalia, Patron Saint of Palermo, Goth Women? Saint Rosalia, Patron Saint of Palermo, Goth Women? 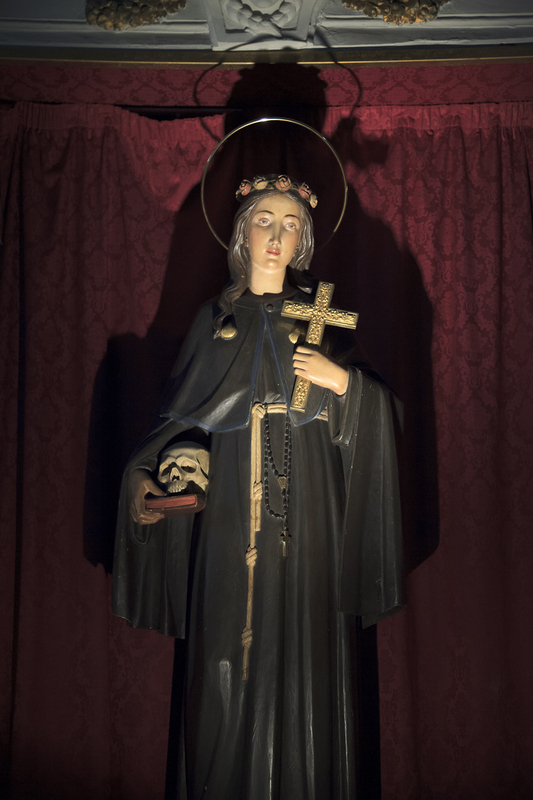 Saint Rosalia is the Patron Saint of Palermo; I would also like to nominate her as patron saint of Goth women. Why? See above for a few statues depicting her in the traditional fashion--as a young, beautiful woman, bedecked with a crown of roses, reading a book in her solitary lair with only a human skull for company, or clutching a human skull in her black robe. Simply does not get more Goth than that. Not even in the Catholic church. Attributes: Depicted as a young woman, sometimes holding a cross, book, or skull. She is also seen wearing a crown of roses. Saint Rosalia (1130–1166), also called La Santuzza or "The Little Saint", is the patron saint of Palermo, Italy, El Hatillo, Venezuela, and Zuata, Anzoátegui, Venezuela. Both images from random churches in Palermo. More to come soon!